Watties and Heinz Spaghettis are full of flavor and made from top quality ingredients. Watties or Heinz Spaghettis goes great with Corned Beef, Corned Mutton, to make sandwiches, or just a delicious meal on its own. They are an excellent source of fiber, high in protein, rich in lycopene, and low in fat. 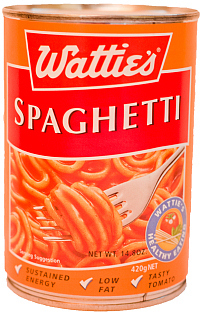 Watties® brand Spaghetti is New Zealands most popular spaghetti. Sold over the South Pacific Islands: Samoa, Tonga, & Fiji Islands. 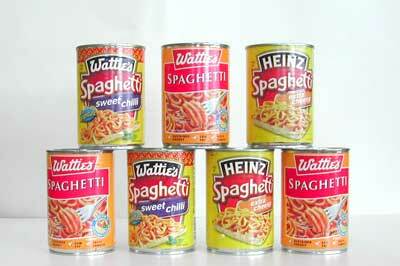 Watties Spaghetti is a true New Zealand icon. Available in Tomato Sauce and Sweet Chili 14.8oz size cans. 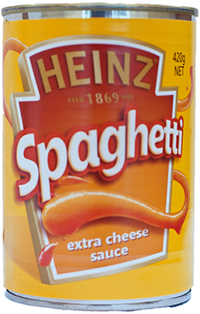 Heinz® brand Spaghetti is a leading brand of canned spaghetti in the world. Sold in the North Pacific Islands, South Pacific Islands, Asia, and Europe. Heinz Spaghetti is Australias most popular spaghetti. Available in Extra Cheesy and Tomato Sauce in 14.8oz size cans. 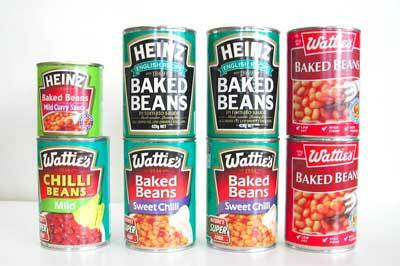 Heinz & Watties Baked Beans are delicious and made from premium quality ingredients. They are 98% Fat Free, high in protein, and rich in iron. Heinz or Watties Baked Beans go great with toast or a meal on their own. Heinz® English Baked Beans, a true Icon. 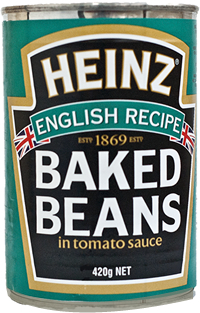 Heinz Baked Beans are world famous and have been produced for over 100 years! They are sold in the Pacific Islands, Australia, New Zealand, Europe, Asia, & Africa. Heinz English Baked Beans are full of flavor and goodness. Heinz Meanz Beanz. Available in 14.8oz size cans. Watties® Baked Beans, New Zealands most favorite Baked Beans. A popular baked beans in the Pacific Islands. 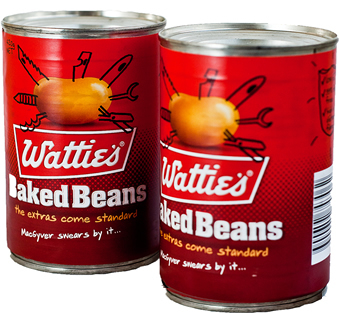 Watties Baked Beans are famous in Australia as well! Made with Watties rich tomato sauce recipe. Available in Tomato Sauce (Red Can) and Sweet Chili (Green Can), in 14.8oz size cans. 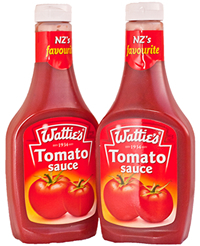 We also stock the famous Watties Tomato Sauce, big favorite of New Zealanders and Australians. Goes great with any meal! Our company carrys Watties Craigs Jams, full of flavor. Available in Raspberry, Strawberry, and Marmalade Orange. 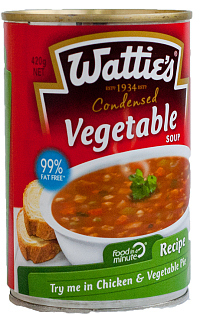 And we stock Watties Vegetable Soups and Heinz Soups as well. The favorites of New Zealand and Australia. Cornwells® Pick-Me-Up Worcestershire Sauce, full of flavor. A favorite of Fiji Islands, Australia, and New Zealand. Pick-Me-Up Sauce is excellent for soups, meats, stews, curries, roast, b.b.q. and fried dishes. An icon of the Pacific. Available in 8.8floz and 16.9floz bottles. ETA® Bar-Be-Que thick and rich and all natural. A favorite B.B.Q. 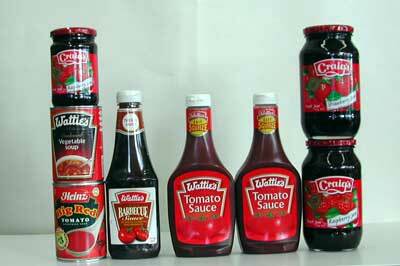 Sauce of Australians and made from quality ingredients. ETA B.B.Q. is great for any types of meats.